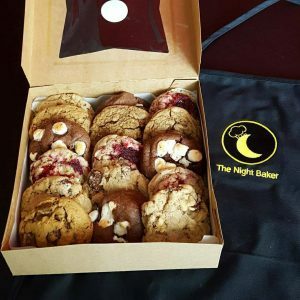 We are The Night Baker – Home of the best soft and chewy cookies in the GTA! 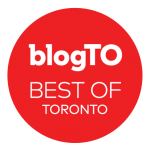 One of the Top 10 Cookie Companies in Toronto according to BlogTO! Now delivering on Uber Eats and Doordash! Like what you see? Follow us @thenightbakerTO for more updates! The Classic – Dark Chocolate, Walnuts and Sea Salt. An all-time fave The Night Baker way. 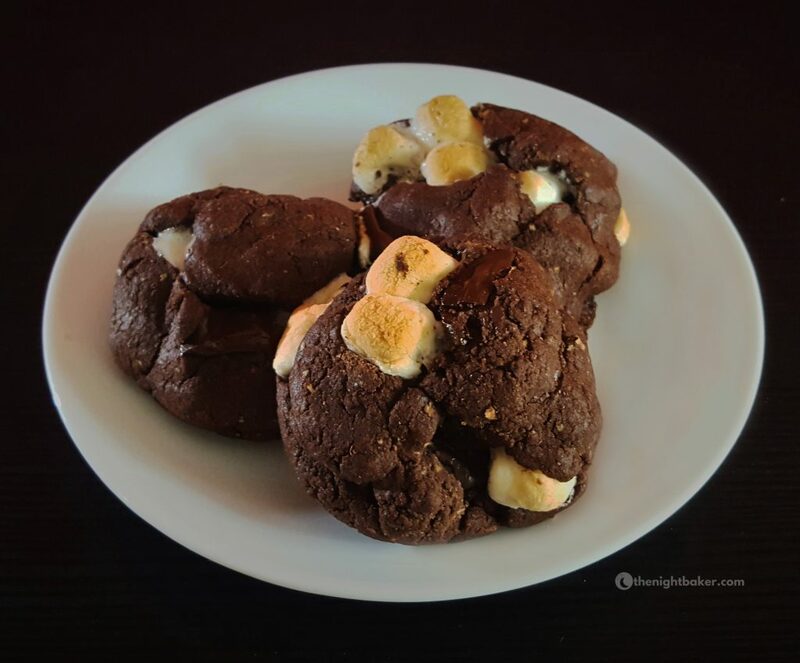 Campfire Smores – Toasted Marshmallows, Chocolate Chunks and Cocoa. 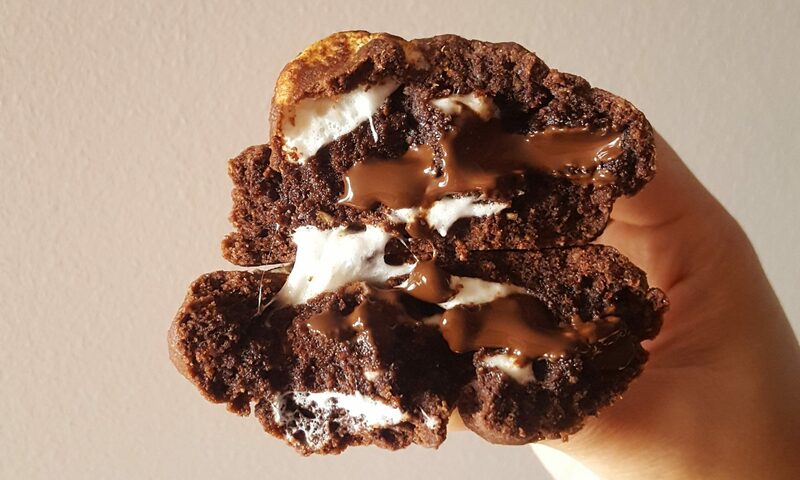 Think Smores in a Double-Chocolate cookie. 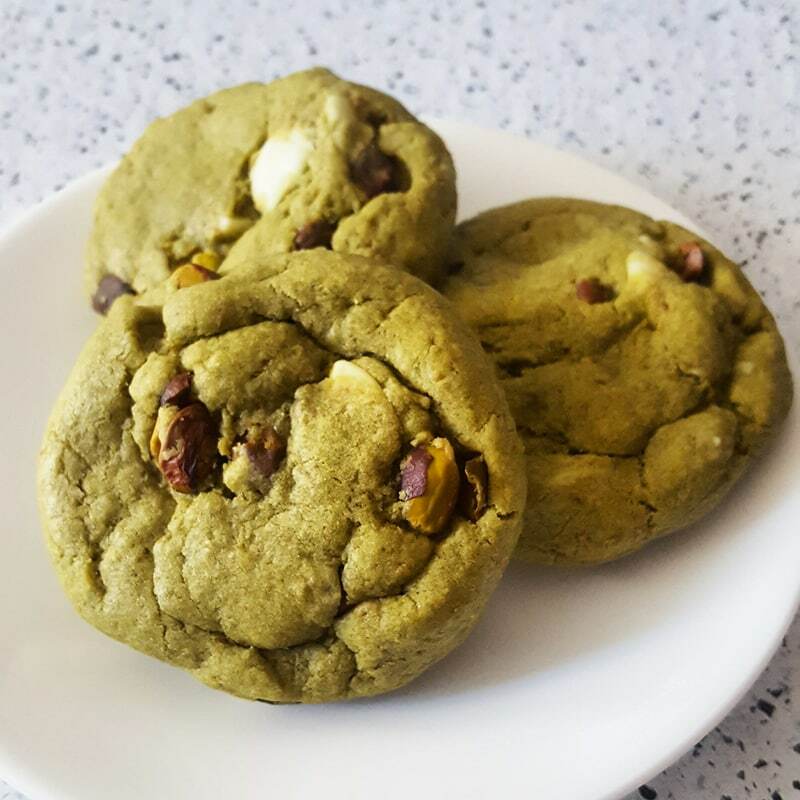 Mistachio – Roasted Pistachios, Matcha and White Chocolate. Green on green cookie goodness. 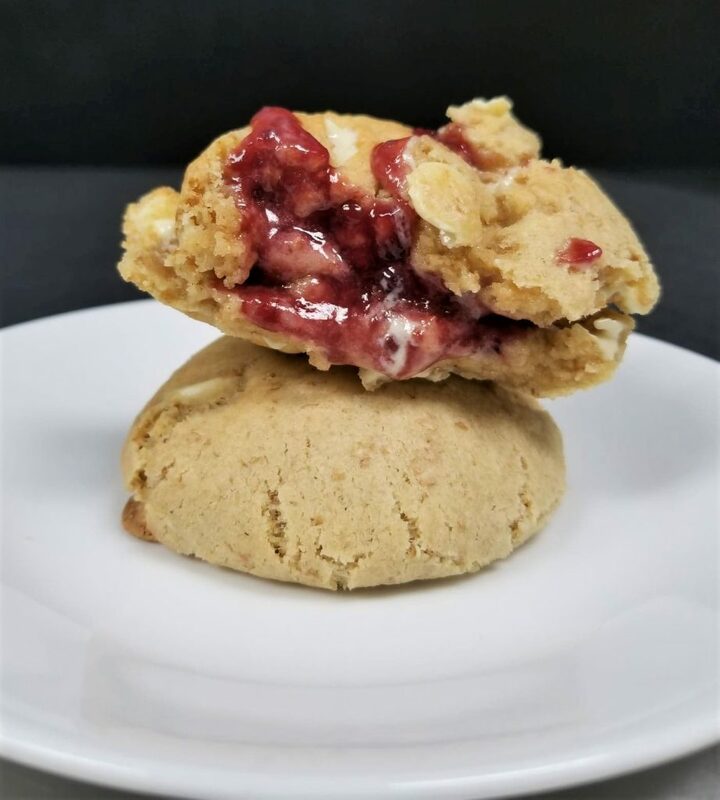 Red Wedding – Raspberry jam and White Chocolate. The perfect marriage of flavours here just in time to comfort you during those bloody Sunday night viewings. 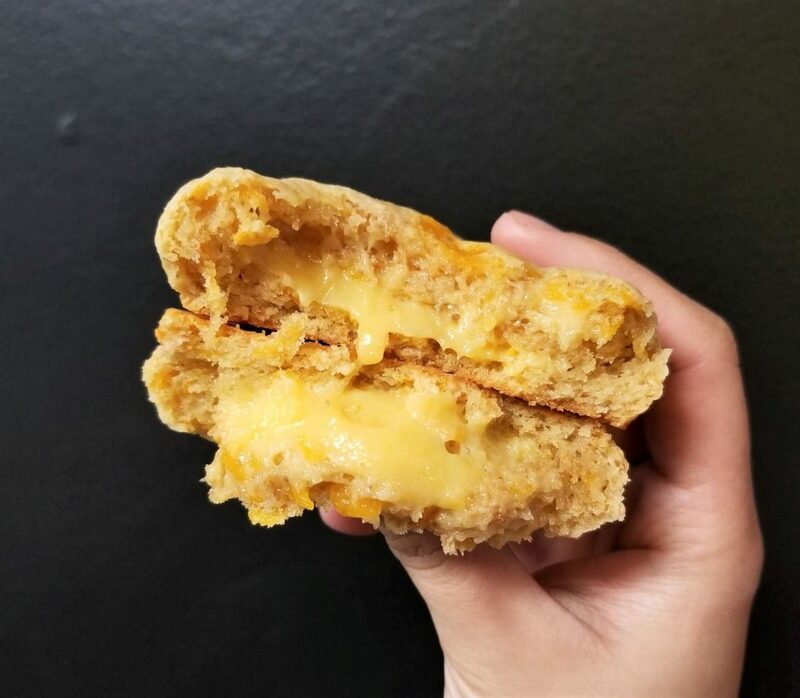 Quezo Royale – Cheese cookie with a Cheddar Custard filling. Cheesy. Gooey. Good. Yum. The Munchies – Peanut Butter, Salted Pretzels and M&M’s. 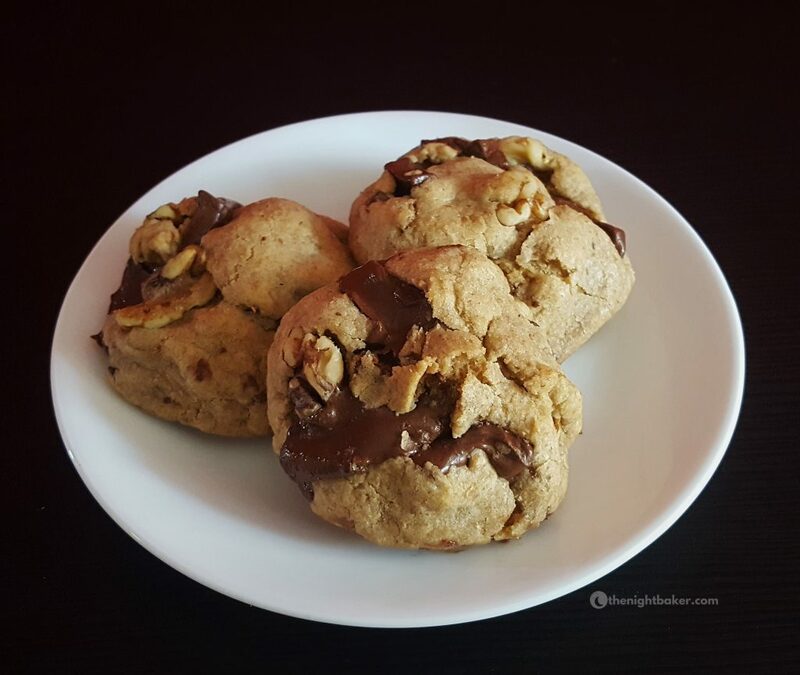 Everything you want in a peanut butter cookie and then some. 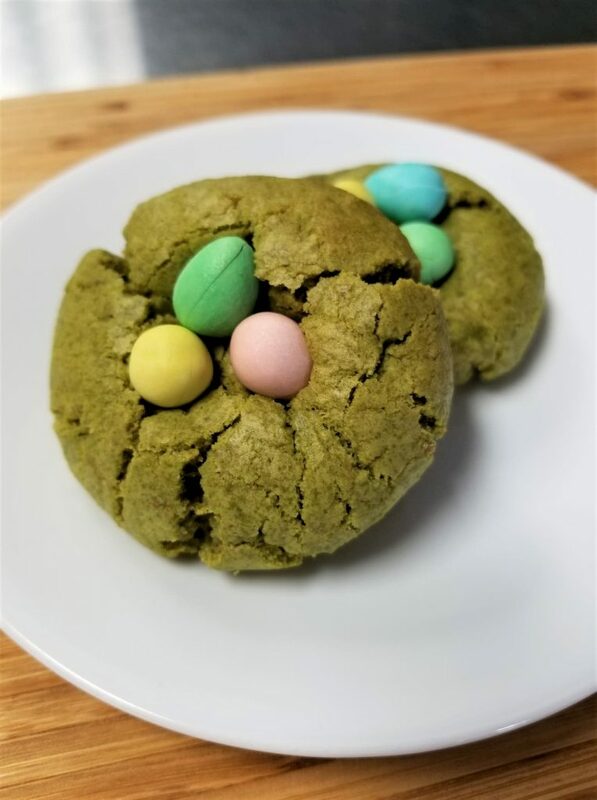 Eggs in Grass – Cadbury Mini-Eggs and Matcha. An Easter favourite with Matcha goodness. 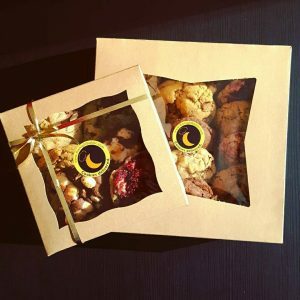 All of our cookies are handmade with extreme love and care without any artificial preservatives. Cookies may contain nuts and wheat. 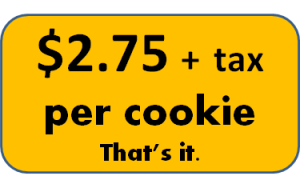 Minimum of 16 cookies per order. FREE DELIVERY INCLUDED (For select areas in Toronto). Please see the image below for the applicable boundaries for the delivery zone: North – Lawrence Ave, West – Royal York, East- Bayview, South – Gardner Expwy. Delivery fees may apply for deliveries outside the delivery zone. 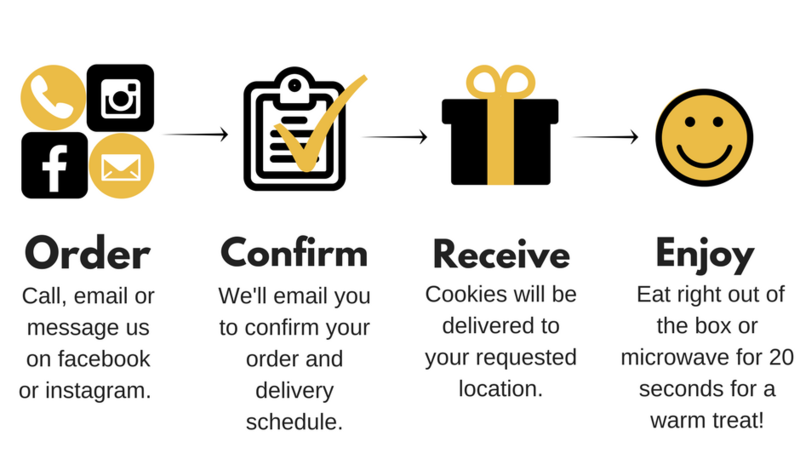 We can schedule your cookie deliveries ahead of time up to one (1) day before your delivery date. Please place your orders by 6 pm to get your cookies for the next day. For same day deliveries, please use Uber Eats or Doordash to place your orders. 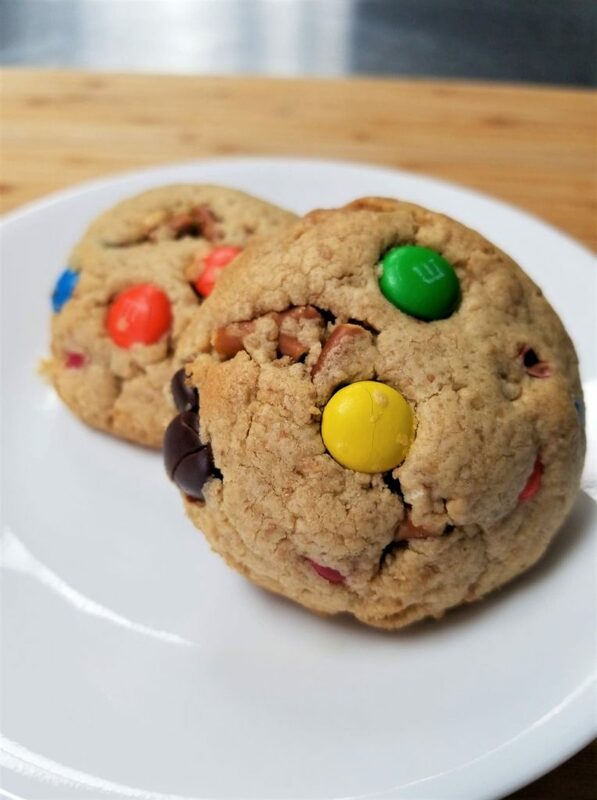 For large orders (100 cookies or more), please place your orders 1 week before your delivery date. 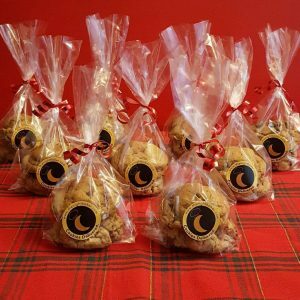 Our cookies are perfect for gifting (and eating)! Need a souvenir for your party? We’re here for you! We also do cookie giveaways for birthdays, weddings, bridal showers, corporate events, holidays or gifting for any occasion. Come see your Night Bakers in action! Here is our cookie pop-up schedule for 2019. Check back for more updates as we will be posting more dates and locations as we get them. See you soon TO!